There is something for everyone is the line-up this month. Delicious Japanese barbeque has come onto the scene in Haymarket and a Michelin starred restaurant has set up shop in Chatswood. One of our reviewers found a fun little retro joint (that word, like everything retro, is back in - you heard it here first) and a new chocolate bar, unlike all other chocolate bars, has arrived. You'll get hungry just thinking about it. Tim Ho Wan - if you can't visit a Hong Kong Michelin starred restaurant, you can discover a small taste of it right in Chatswood. This dumpling house in humble Chatswood is a new branch of a world famous Hong Kong Michelin starred restaurant. It's famed for delicious yum cha style dishes at a very reasonable price. The only downside is a huge line, so avoid peak times. MKR 2014 stars Helena and Vicki have their fans lining up to sample some of their signature dishes as seen on the show. MKR fans rejoice! Slightly ditsy but brilliant twins from 2014's season, Helena & Vikki, have opened a new restaurant in Sydney's CBD. The surprise here is that the food isn't traditional Greek, or even modern Greek, but pub food with Mediterranean influences. That famous semolina cake is on the menu, in case you were wondering. 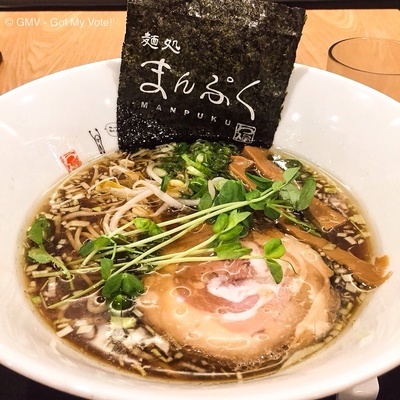 Ramen is the way to go this winter, so stop over to this new ramen restaurant in Chatswood. This is another new Japanese opening in Chatswood, specialising in delicious Ramen. It's the perfect thing to chase away those winter chills! Delicious scones topped with the traditional jam and cream. Keeping up with the retro theme at Retro Bower. Why? Retro theme and super fresh, home-made ingredients. Retro Bower will take you back to a time when scones were it and flecked laminate featured in design magazines. The food is just as yummy today as it was back then, even if retro isn't your style. The food is as fresh as they can make it and generally locally sourced. Sir Braxton breaks the rules with a popular savoury dish and creates a sweet, chocoholic version. 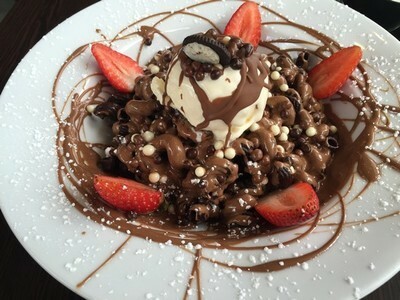 Did someone say chocolate pasta? Syringe of melted chocolate? Corn chips and chocolate? If you're the least bit curious about how one could possibly make a chocolate-pasta combination taste good or are having dreams about a sea of melted chocolate, then this one is probably for you. This place should probably come with a chocolate overload warning. Love Korean BBQ? Why not try a Japanese version at Yakiniku Gyuzou. Japanese barbeque is rarer than it's Korean cousin, owing to a smaller amount of international fame, but not because it's tasteless. It's a style of cooking relying mostly on the quality and tastes of the meat, instead of heavy marinades. Yakiniku Gyuzou supplies good meat and an assortment of side dishes to compliment your delicious barbeque. Warning: Meat is cooked by diners, so you can cook the meat to your liking, but this one is not for the lazy.